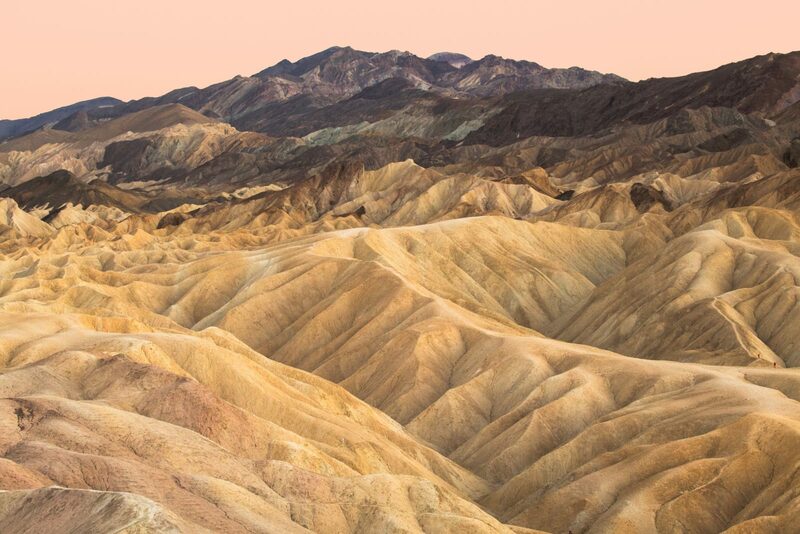 Hiking to the topmost hill at Zabriskie point with the camera gears was tough, but I always had something like this picture in my mind. The sky was not the best, so I decided to not include much of the sky and focus only on the hills. The afterglow of the sunset bring out the beautiful colors of the hills.